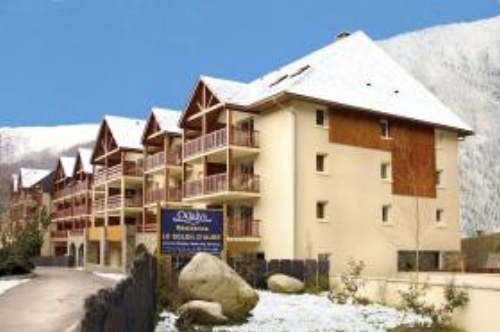 The Cami Real residence in Saint Lary is ideally located in the centre of the village and 300m from both the cable car and the Sensoria thermal spa centre. The nearest supermarket is just a 2 minute walk away. 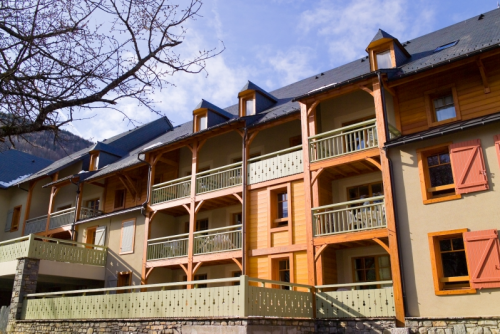 Cami Real can be found right in the heart of the village, ideally located just 300m respectively from the “Pic Lumière” cable car and the the Sensoria thermal spa centre. 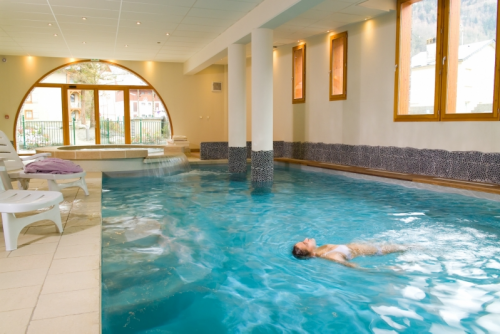 Whilst the former takes you straight to the famous “Pla D’Adet” with its beginner slopes and ski school meeting area, the latter is an amazing way to spend a day or an evening soaking in the pools or having fun in the grottos of this thermal spa haven. 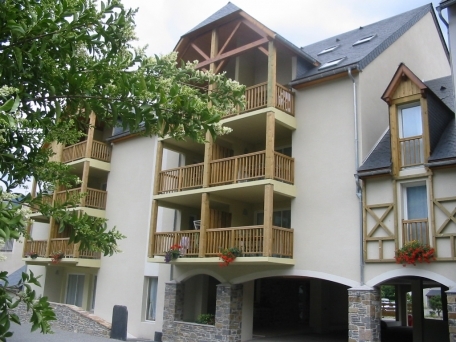 This superb high-quality residence is made up of traditional self-catering chalet apartments over 3 levels and is built in the traditional local style, using wood, stone and slate from the Aure Valley. 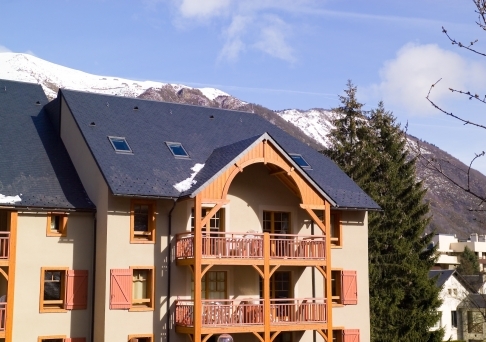 Surrounded by the high peaks of the area and with great views from some of the apartments this high quality residence offers a warm and authentic atmosphere in an authentic Pyrenean village. 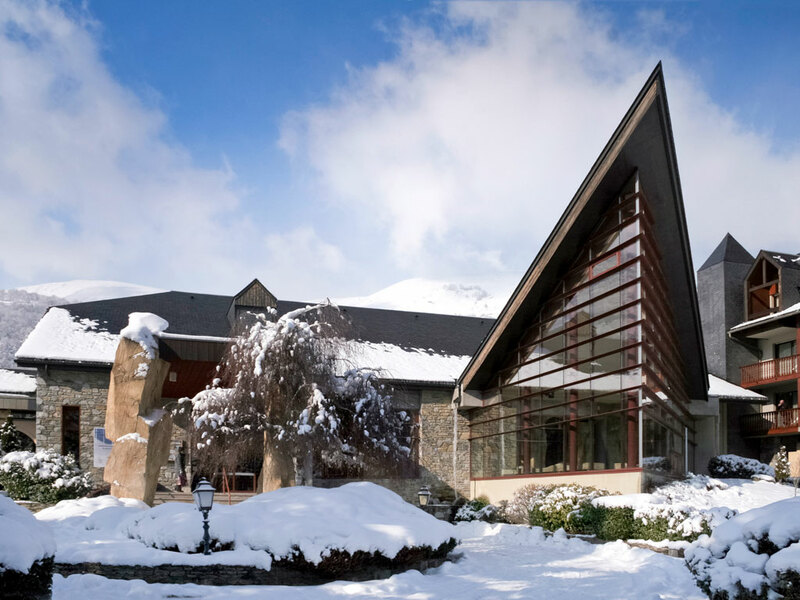 There are only 100 apartments and all are located in the main building which has a lift and the warm and welcoming reception area has a fireplace with a crackling fire in the winter months. A local shuttle bus (Blue Line #2) stops in behind the residence and runs every 20 minutes around the whole resort taking in the “Pic Lumière” cable car and the new Gondola and runs parallel the main drag. 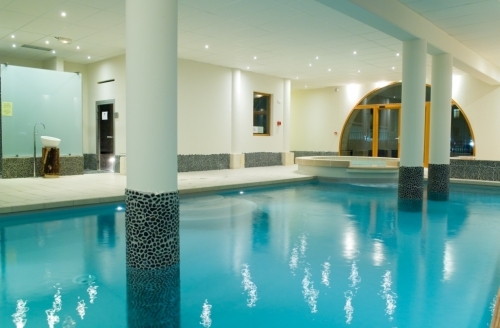 Cami Real has an on-site Jacuzzi and sauna and guests staying here also benefit from free access to the indoor heated swimming pool. 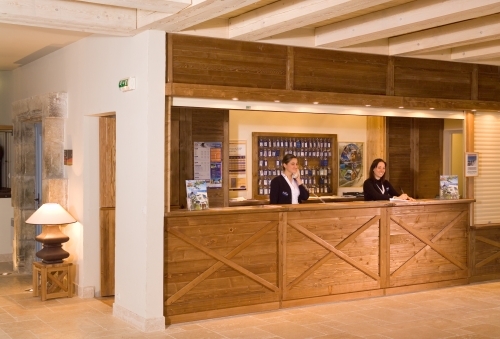 An added benefit is that there is free Wi-Fi in the reception. 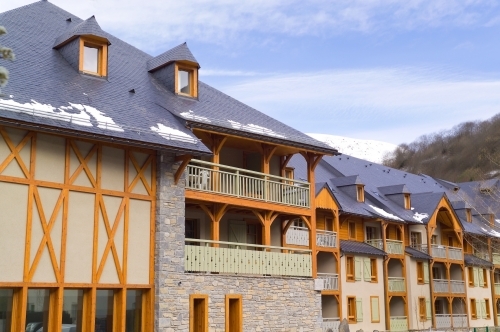 Saint Lary is a picture postcard Pyrenean resort with a lively buzz to it. Known as the “Star of the Pyrenees”, it is based around one main road, meaning it is hard to get lost and easy to find everything. 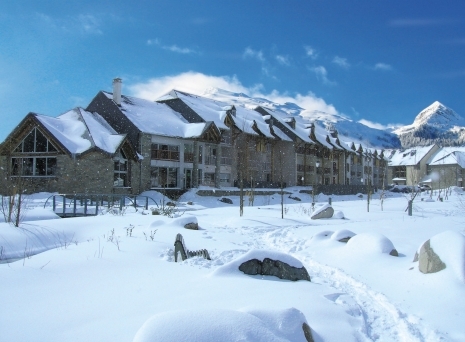 It is a lively ski village with plenty of activities for families and friends alike and has a great selection of restaurants and bars. 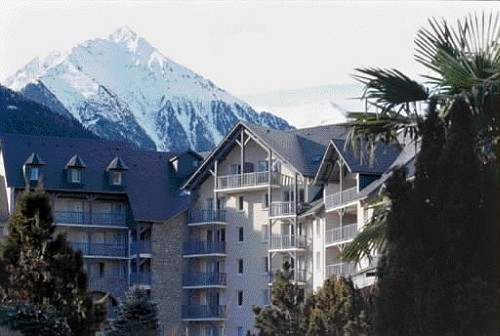 High above the resort is the ski area of Saint Lary, created in 1963 when the municipalities fused. 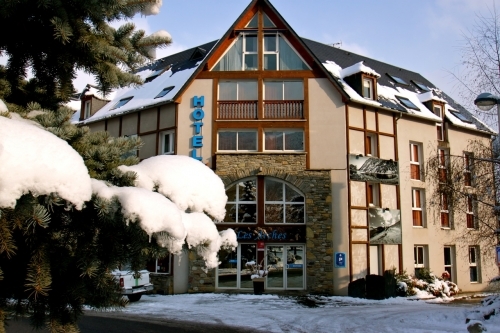 With up-to-date ski amenities and facilities and an excellent infrastructure to its three high altitude ski zones it is a firm resort favourite in the French Pyrenees. 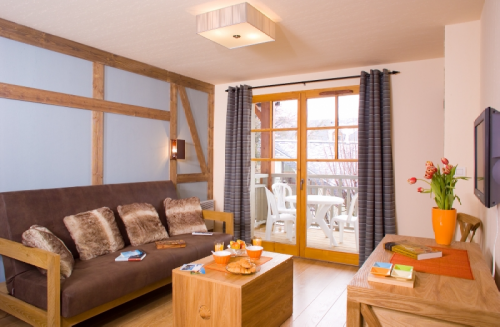 Each self-catering ski apartment at Cami Real in Saint Lary is fitted and furnished to a sophisticated level of comfort. They all benefit from a fully equipped kitchenette with 2 or 4 ring hob, fridge, dishwasher & microwave/grill, flat-screen TV with built-in DVD player (payable locally) and a furnished balcony or terrace. Studio sleeping 3 (ca. 33m2) Open plan living/dining area with a double and single sofa bed, bath or shower room & WC (most are separate). 1 Bedroom Apartment sleeping 4 (ca. 30-37m2): Open plan living/dining area with a sofa bed (converts to 2 single beds), 1 double or twin bedroom, bath or shower room & WC (most are separate), Balcony or terrace. 1 Bedroom Alcove Apartment sleeping 6 (ca. 39-45m2): Open plan living/dining area with double sofa bed (or a sofa bed that converts to 2 singles beds or bunk beds), 1 double or twin bedroom, 1 alcove with a double bed (or twin beds/bunk beds or an alcove with a single bed & an extra single sofa bed in living area. Bath or shower room & WC - most separate. Balcony or terrace. 2 Bedroom Apartment sleeping 6 (ca. 49-52m2): Open plan living/dining area with double sofa bed (or a sofa bed that converts to 2 singles beds), two bedrooms (double or twin beds) , bath or shower room & WC (most are separate). Some have an extra shower-room & WC. May be split level. Balcony or terrace. 2 Bedroom Alcove Apartment sleeping 8 (ca. 52-65m2 may be split level): Open plan living/dining area with double sofa bed (or a sofa bed that converts to 2 singles beds), two bedrooms (double or twin beds), 1 alcove with bunk beds, bath or shower room & WC (most are separate). Some have an extra shower-room & WC. Balcony or terrace. 3 Bedroom Alcove Apartment sleeping 10 (ca. 65-79m2): Open plan living/dining area with double sofa bed (or a sofa bed that converts to 2 singles beds), two bedrooms (double or twin beds), 1 bedroom with bunk beds, 1 alcove with bunk beds, 1 bath or shower room, 1 shower-room & 2 WCs (most are separate). Split level. Balcony or terrace. 4 Bedroom Alcove Apartment sleeping 12 (ca. 109m2): Open plan living/dining area with double sofa bed (or a sofa bed that converts to 2 singles beds), four bedrooms (double or twin beds), 1 alcove with bunk beds, 1 bath or shower room, 1 bathroom, 1 shower-room & 2 WCs (most separate). Split level. Balcony or terrace. 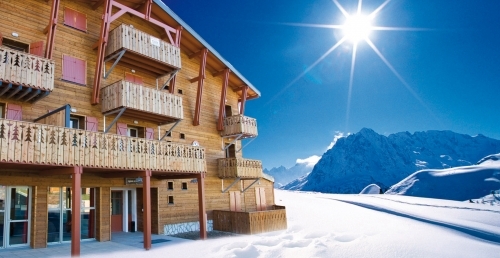 Please note: for any apartments at Cami Real in Saint Lary that feature bunk beds, sleeping in the top bunk is not recommended for children under the age of 6 years old. 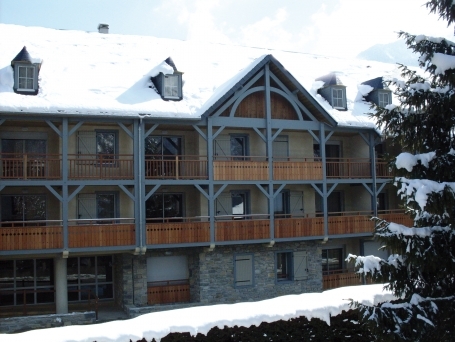 Fully equipped apartment, ski lockers, Wi-Fi internet access (reception only) and access to the indoor heated swimming pool, Jacuzzi and sauna (open daily 11:00 - 19:00). Optional covered parking (height limit 2.00m): €49/car/week (request at time of booking, subject to availability). 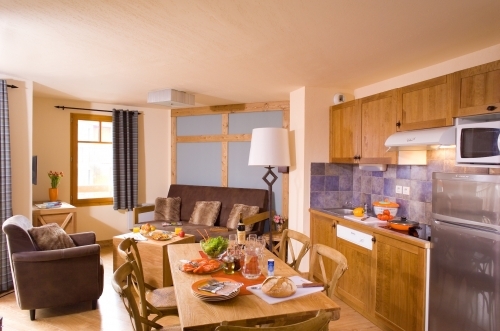 - Refundable breakage deposit: €260/apartment (credit card) - Please note no deposit, no keys! - Local Tourist Tax: €0.94/person/day (guiding fare). - Hire of bed linen: €8/person. - Hire of bath towel: €4/towel. - Hire of hand towel: €3/towel. - Hire of bath mat: €3/mat. 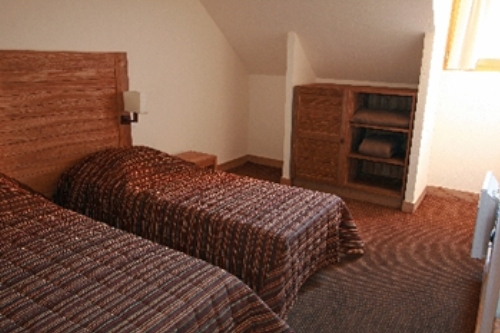 - Bed linen & bath towel set: €10/person. - Hire of TV/DVD player: €7/day or €35/week. - Optional daily cleaning: €19/3-6 people/day & €24/7+ people/day (to request at time of check-in). 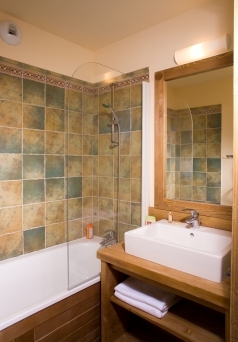 - Optional mid-stay cleaning: €29/3-6 people/day & €34/7+people/day (to request at time of check-in). 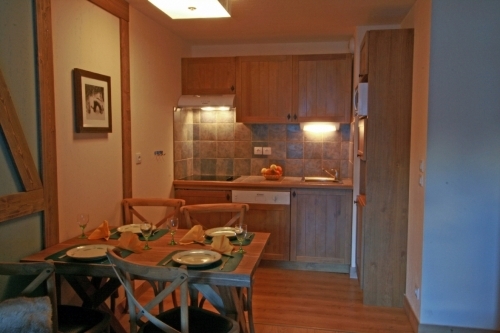 - Optional end of stay cleaning: €56-€168/apartment (depending on size, to request at time of check-in). - Hire of raclette set: €5/day. Only one pet per apartment is allowed and will be charged €25/week (payable locally). Cots and highchairs (request at time of booking), board games and Wii games (all subject to availability, deposit may be required). Sunday – Friday: 09.00 - 12.00 & 16.00 - 19.00. Saturday: 08.00 - 12.00 & 14.00 - 20.00. Arrival day at Cami Real is Saturday (and other days on request) 17:00 - 20:00 and Departure by 10:00.